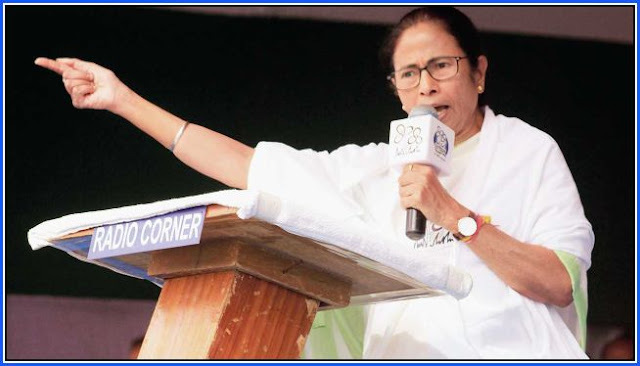 Mamata Banerjee has coined a “Darjeeling to Delhi” slogan with the message that Trinamul will play a “leading” role in forming the new government at the Centre. “The win in Darjeeling will herald Trinamul’s move towards Delhi where our party will take a leading role in forming the new government. Our call is ‘Darjeeling to Delhi’,” the chief minister told a rally in Siliguri on Saturday. Trinamul has never bagged the Darjeeling Lok Sabha seat, which includes areas in the hills and the plains. “We doubt whether BJP will win 100 seats. The trends of the first phase (of polls) indicate that they will hardly get 10 seats. In 2014, they had won in over 30 seats from the 91 where elections were held a few days back,” said Mamata. Some felt the statement signalled national ambitions. “It is a strategy to keep building pressure on the BJP and project Trinamul as a national party,” a source said. She continued her attacks on the BJP over use of religion. “Some people are wielding maces and swords…Such theatrics won’t fetch votes in Bengal,” Mamata said, alluding to BJP state chief Dilip Ghosh who was seen with such weapons at Ram Navami rallies.